This month we could choose any challenge to do and I chose Life of Pie from this year June. The blog checking line from this challenge is: Rachael from pizzarossa was our lovely June 2013 Daring Bakers’ host and she had us whipping up delicious pies in our kitchens! Cream pies, fruit pies, chocolate pies, even crack pies! There’s nothing like pie! I chose to make something Italian as we leave for Italy in 3 days time. I know that a crostata is best suited to stone fruit and Jamie Oliver uses figs for his recipe. But my local shop had a choice of apples, pears and gooseberries and as I had already made a gooseberry cheesecake I decided to use the pears. The filling is moist and delectable. It is the first time I have made a frangipane tart and I knew I would love it, as I love marzipan and they are so similar. I was not very impressed with my rolling out of my pastry and so it is a bit thicker than I would have liked it to be. But regardless, it tastes good and as I did not work it too much, it is nice and short. That is the key when working with shortcrust pastry. You have to work it as little as possible. My step son came to visit and so I sent him home with half the tart so that Dave and I would have less temptation during the week! In a “celebration” of past Daring Cooks and Daring Bakers challenges, Lisa challenged all of us to search through the Daring Kitchen archives and pick any one we’d like! The REAL challenge was picking which delicious recipe(s) to try! This looks delicious! What an interesting combination of ingredients 😀 Will have to try this recipe sometime. I could eat this tart all by myself. YUM and gorgeous! 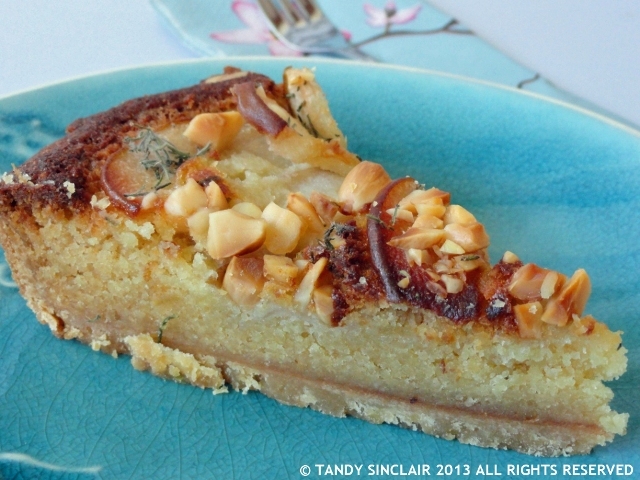 Oh my goodness, Tandy, you had me the moment I read Pear Frangipane. How exquisite! I am most definitely going to try this soon. Tandy, that’s stunning! If it tastes half as good as it looks, it must have been amazing! 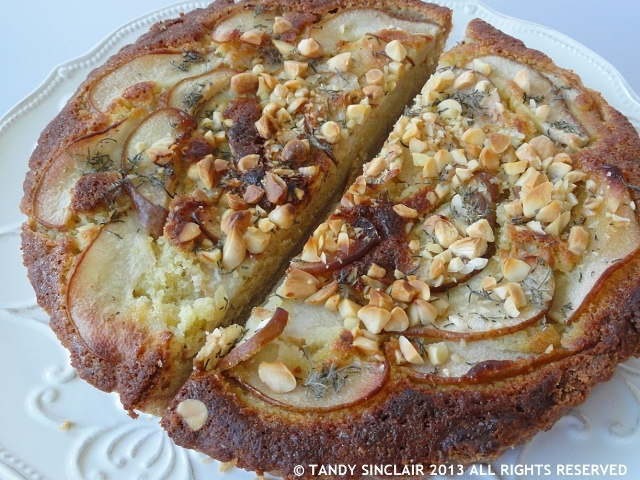 I had a pear/bleu cheese tart the other day…this would be a nice treat to pair! That frangipane looks so amazing and sounds so perfect for the pear filling! Sounds a fancy sweet bites! btw, rosemarry topping in dessert is not familiar to me, tempting to try……..
Looks like it could almost be done with polenta? That would be worth a try! This looks lovely Tandy. 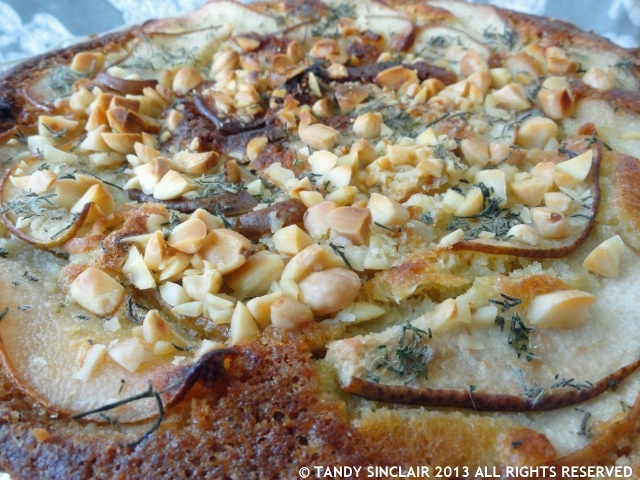 I would never have thought to put pear and rosemary together.